Newest publications along with materials on Meteorites. 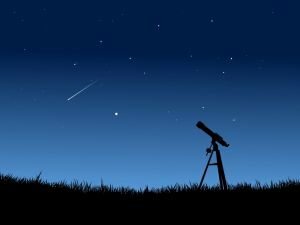 Find out about mysteries, stories and convenient advice on Meteorites. Read the newest articles and publications about Meteorites. A fallen meteorite has killed a person and injured 3 others near the Indian city of Vellore. This is the first time in history something like this has happened. In a new study, scientists are studying the probability of an explosion on Earth's crust, caused by asteroids throughout the past 3. 5 billion years, to have spread the seeds of life to other planets in our solar system. The official name of this magma piece is NWA 7034 or Northwest Africa 7034. It is believed that the so-called Black Beauty is at least 2 billion years old, which would make it the second oldest magma rock ever found, say scientists. A group of Russian and Italian scientists have managed to find categorical evidence to support the claim that life on Earth was bought from an asteroid from outer space. Two new craters of unknown origins appeared in Siberia, after a different hole appeared on the Yamal Peninsula just a few weeks ago, the investigations of which still have not determined why it occurred. Russian researchers confirmed the existence of the crater. It is located on the Yamal Peninsula, which is known as the End of the Land. Currently, scientists are investigating the find and the entire region around it. In 1908, on the 30th of June, something extraordinary happened in the southern part of Central Siberia (in Podkamenna Tunguska) and so far no clear evidence of what exactly this was exists.